Binary options represent a fun, exciting and effective way to potentially make great money from the comfort of your own home. However, if you’re interested in beginning in trading binary options, it’s important you know what you’re getting into. Let’s debunk some pervasive myths before you spend any money. The legality of trading binary options has been in question since the day the SEC, well, legalized it. Back in 2008, the Securities and Exchange Commission made it perfectly legal for anyone to trade options. However, the truth is that it was legal for institutional investors and certain private traders with enough equity for far longer. The only people who face a gray area are those in countries where it’s either illegal or, more commonly, where no laws have been passed on one side of the issue or the other. If you live in one of these countries and want to trade, you won’t be able to find a local broker, but you can work with one from overseas. Just be sure you pick one where it’s regulated. This myth is pretty easy to debunk if you’ve read the above. After all, if binary options are a scam, why did the SEC legalize them for everyone? Why wouldn’t the SEC have acted and made them illegal again? That being said, there is no doubt that binary options scams do exist. This is to be expected given how popular this form of trading has become in such a short period of time and the potential for profit they represent. Speaking of binary option scams, this one comes pretty close. It’s representative of the various bonuses binary options brokers give out to woo new clients. There are countless versions of it, but they all revolve around wording that suggests just for opening an account, you’ll receive a lot of free money. To the untrained eye, this is impossible to resist. You usually only need about $200 for a deposit, but a lot of times you’re promised somewhere around $500 on top of that for trading. A lot of beginners could trade for weeks with that free $500. Unfortunately, the fine print will clarify why binary options brokers even offer this deal in the first place. It’s because you can’t withdraw the money until your account hits a certain amount. So you may get $500 to trade with but until you’ve increased it by 20 to 40 times, you won’t be allowed to actually withdraw it. These bonuses still aren’t a bad thing, necessarily. If you’re only able to turn $500 into $9,000, you might not get that original bonus, but you also didn’t have to risk any of your own funds and, plus, you made thousands of dollars. Here’s another way shady people make money from binary options. These alleged “experts” promise that they’ve cracked the code. They have found the mythical trading system that will keep you from ever placing a bad call or put. Essentially, they’re promising a 100% win rate. This is impossible. Sometimes, you may hear a 99% or 98% win rate promised. This is still impossible. 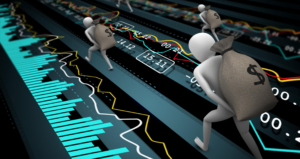 Binary options trading is like any other form of investing: it comes with risk. Other versions of this same scam promise things like $1,000 an hour without having to do any real work. “The software does everything.” It’s these kinds of scams that give binary options trading a bad name. At the end of the day, the old advice “If it sounds too good to be true, it probably is” really fits here. Binary options is perfectly legal, but to make good money in this business, you’ll need to work hard at it.